We're continuing to look through the findings from the 2017 state of cloud report recently published by RightsScale. The report illuminated some trends, and had findings that we feel validate both the need for, and value of cloud computing training. Simply put, training improves cloud value. This is true for training prior to, and after cloud adoption. We put the results in an infographic. Enjoy. CarverTC provides CloudMASTER cloud computing classes, and IT training and certification in Portland Oregon and throughout North America. RightsScale recently released it's 2017 state of cloud report. At CarverTC , we've been going over the findings to see what trends, and insights we can find, and we've found quite a few. We've found an interesting correlation between the rise of multi-cloud environments and sudden increase in concerns over cloud costs. Organizations' are running more workloads, in more cloud vendor environments. While we believe multi-cloud environments are a good thing, and are here to stay, adding and integrating cloud services is a complex task. It requires thoughtful vendor evaluation, planning, and implementation steps that include both direct and indirect integration with both on-premises services and other cloud services. Some of the rise in cloud costs may be a result a failure to properly evaluate vendors and plan implementation and integration. We'll lay it out for you in this article. "Cloud users were running applications in 4 clouds and experimenting with 4 more. Companies that use public cloud are already running applications in an average of 1.8 public clouds and experimenting with another 1.8 public clouds. While fewer companies are using private clouds, those that do use more, running applications in an average of 2.3 private clouds and experimenting with an additional 2.1 private clouds." "Enterprises run 75 percent of workloads in cloud with more in private cloud (43 percent) vs. public cloud (32 percent). SMBs run 83 percent of workloads in cloud with more in public cloud (50 percent) vs. private cloud (33 percent)." It's clear that organizations like having a choice of vendors, and like choosing the solutions that best fit their needs, even as more workloads are moving to the cloud. This means the intricacy of evaluating cloud vendor solutions and integration options will rise as each organization's cloud footprint becomes more complex. Selecting the right solution, and developing a plan for integrating to achieve business goals, and keep costs down will be essential. 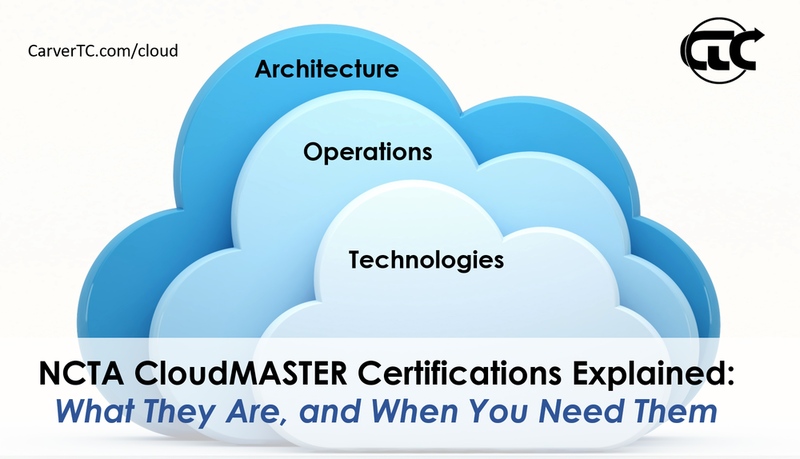 Get 10% off CloudMASTER Training for a limited time. Managing Cloud Costs is Now a Significant Challenge. "This year expertise, security, and spend were all tied for the top challenge with 25 percent of respondents citing each as a significant challenge." "Even as managing cloud costs becomes a top challenge, cloud users underestimate the amount of wasted cloud spend. Respondents estimate 30 percent waste, while RightScale has measured actual waste between 30 and 45 percent." "Despite an increased focus on cloud cost management, only a minority of companies are taking critical actions to optimize cloud costs, such as shutting down unused workloads or selecting lower-cost clouds or regions. This represents an opportunity for increased efficiency and increased savings." Despite this, "optimizing cloud costs is the top initiative for 2017 across all cloud users (53 percent) and especially in mature cloud users (64 percent)." The disconnect between assumed and actual wasted cloud spend, and the fact that so few organizations have put measures in place to manage costs, and mitigate cloud overspend begs the question of, "why?" The answer to this question leads us to believe that business as usual won't address cloud cost concerns. If cloud administrators don't know how much cloud spend is wasted, they either aren't measuring or don't have the skills to. Quite probably both. It is also likely that organizations didn't do proper vendor evaluation when selecting new cloud services, and did not plan service implementation with an eye on both functionality and cost mitigation (as well as other essentials such as security and compliance). Depending on how some cloud solutions are implemented and managed alongside other cloud services, making radical changes to bring down overspend post implementation may be complex, time-consuming and costly. It's simple. Anything that is properly evaluated, planned, and implemented from the start will be easier to manage and less costly in the long run. Too many organizations are realizing they need to implement cloud cost controls after they're in the cloud and their cloud footprint is growing. It's also apparent by the lack of action, despite the concerns, that staff may not have the skills required to bring cloud costs under control. Management tools and services (yes, like Rightscale, as well as Chef, and Puppet). More than that, CloudMASTER Training is vendor neutral, providing hands-on experience with over 20 platforms and tools. This gives staff real experience, using the tools. They'll come back from CloudMASTER training better prepared to make thoughtful comparisons between solutions and to find the best solutions, that will meet your needs, and keep costs down. If this problem concerns you, check out our class schedule, or contact us to discuss the courses that will get your team the skills they need to get cloud costs under control. CarverTC provides IT training and certification in Portland Oregon and throughout North America. We recently posted our first schedule of public training classes. While we've been creating and delivering technical training courses for years, this is the first time we've decided to offer public classes. As I've been reaching out to my contacts to let them know, I've gotten one question, "Why now?" The simple answer is, CloudMASTER cloud computing classes are a unique compelling offering that, we think, could change the cloud computing certification landscape for a lot of IT organizations and IT professionals. In this article, I'll explain why this certification and the training curriculum moved us to offer these courses to the public. We've often said that we're a technical company with a communication problem. We cut our teeth over 16 years learning, then explaining highly technical products and services. We were "techies that could talk." That has served us well over the years as we have grew a consultancy that served hi-tech businesses and helped them launch their products. Training was been a natural fit for us. After learning everything there was to know about a product or service, be it an operating system release, or piece of social media marketing software, delivering training on those topics was a natural follow-on. Mentoring was another big part of our digital marketing consultancy. Training our clients how to set up social media profiles, or how to a content creation process in place, or to manage their communities was essential. Eventually we formalized some curriculum and started delivering that training as well. We did all of that training privately. At various points we advertised our curriculum, but we always did training in a responsive model, delivering training after clients requested it. We didn't want the hassle of running a training center, and having to put "butts in seats." We also had some issues with the way most public training courses were run. But, we were doing more and more cloud computing consulting, so, when we got the opportunity to partner with the National Cloud Technologists Association to build some courses to support their CloudMASTER cloud computing certification credential, we were forced to rethink our reservations about offering public training. Cloud consulting was growing as a competency as more and more of our development customers used Platform as a Service (PaaS) to build and deploy apps, and as more of our digital marketing customers used cloud based apps to perform marketing services. As we interacted in these engagements, we provided consulting services from comparisons and evaluations of cloud solutions, to planning, guidance, and implementation. As I was working with Logical Operations and the NCTA subject matter experts to design the courses, the three natural roles, of cloud technologist, cloud operations, and cloud architecture emerged. I designed the courses around those three roles. 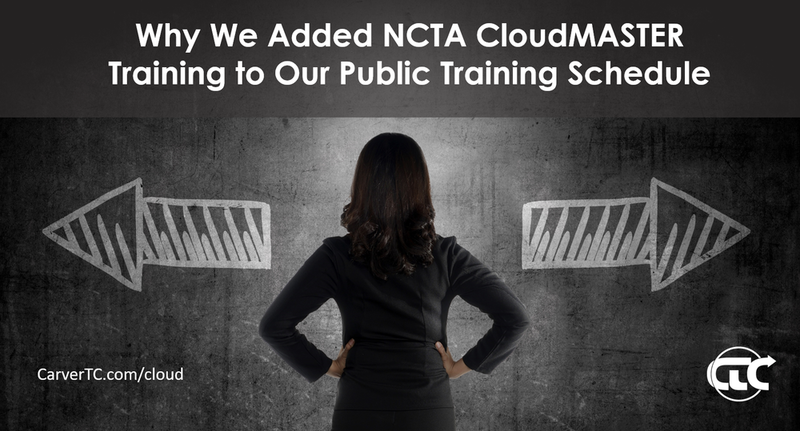 Taking our experiences mentoring and consulting for clients, and NCTA's deep expertise in large and complex cloud migrations, we found that each class could play a role in our cloud computing and development consulting. So the question became, if we were going to teach it to our clients, why not put it on a public schedule? We knew from our experience that people needed this training. We knew that these classes would replace the ad-hoc mentoring we were doing for clients. We felt it was going to be popular and valuable, on par with Microsoft MCP/MCSE training and certification, or A+ or Network+ training and certification. So we sat down to address the concerns we had internally about offering public training. We developed a custom approach to delivering training both for cloud computing, and digital marketing topics. The more we worked through our approach, the more confident we became we could delivery high quality, experienced-based training, broadly. So we decided to post a public schedule. Simply put, the growth of cloud computing, the content in these courses, and their associated certification paths were too compelling. We would be supplying the training privately anyway. That coupled with broad applicability to IT organizations and IT professionals everywhere, made us address our concerns about offering public classes. Once we did that, there were no more barriers to offering these courses publicly, and we're very excited to do so.